Yes ... you've seen some of these items before, but I could not resist putting together this mood board for one of my Christmas gift guides. Such timeless pieces which can be used to style the the decor of people (ok, mainly females) of all ages. 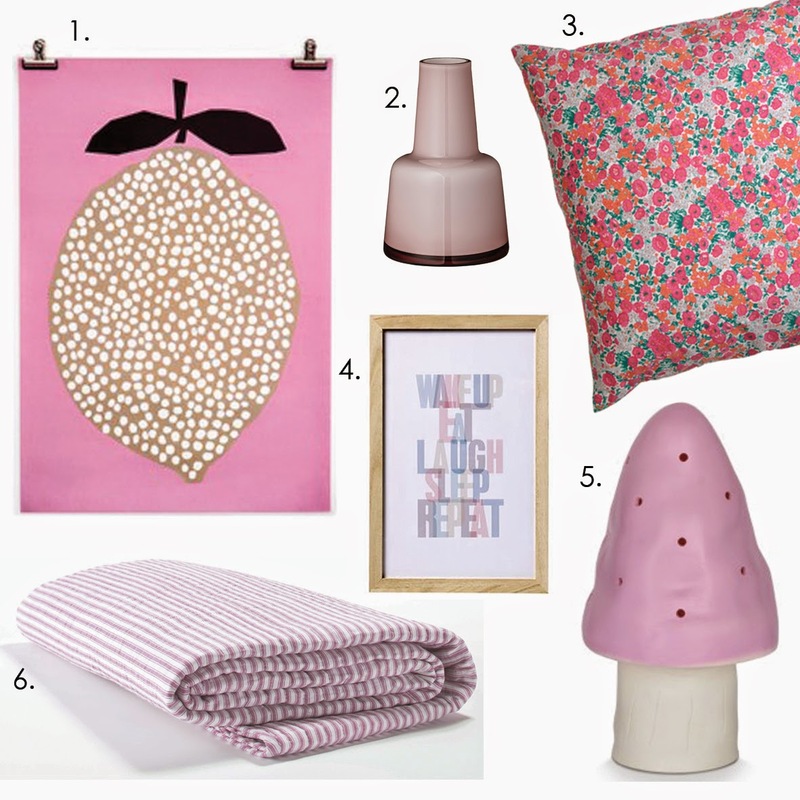 If you love pink, then I am sure you will love these treasures as much as I do. All items are currently in stock in the Room to Decorate online shop. 6) Pink ticking stripe quilted throw blanket (cot size) - $39.00.